I would like to thank the publishers for sending me a copy of this book in return for an honest review. 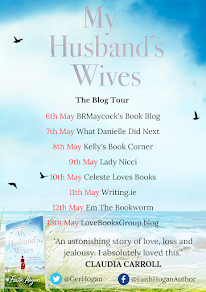 Today I am delighted to host a Q and A with Hanney Coates as part of the Bertie's Gift blog tour, as well as sharing my review with you all. 1. What was it that made you want to write a book from the perspective of a dog? And, in particular, a beagle? Forget reindeers. Dogs and Christmas go together like mince pies and brandy butter. Fun, optimistic, generous, loving - all the things that make Christmas great are also qualities we associate with our favourite dogs. So when I sat down to write a festive tale, a dog's voice was the obvious choice. My first dog, as quite a young child, was a beagle with a Kennel Club name so long and complicated, it was more like the name of a certain Welsh railway station. None of us could ever remember it. So we called him Pippin Boot instead. Pippin after the hobbit in Lord of the Rings, and Boot after his favourite food. Yes, Pippin was a very playful and mischievous dog, especially as a puppy, and regularly ate anything he could get hold of, even things not ordinarily viewed as food. He chewed boots and table legs and magazines - and once stole and consumed an entire packet of butter. I thought my mother would have a heart attack ... But he was adorable too, and such wonderful company, he soon became the model for my hero in Bertie's Gift. 2. Bertie’s Gift deals with themes of tragedy and loss, do you think dogs can play a crucial part in helping their owners heal? Absolutely, and we see this in action when trained animals are placed with people as 'therapy dogs' or mental health 'assistance dogs' in the hope they will provide the sufferer with a calming and comforting influence. But even your average family pooch can help owners get through times of bereavement, stress and depression, by being there for you, not only someone who will listen in a non-judgemental way - and without offering unwanted or contradictory advice - but also a physical presence, warm, soft and strokable. This may seem obvious, but if you're alone or unhappy, having a fluffy dog to hug and pet is a great way to self-comfort - as well as making your dog happy too! 3. How do you get inspiration to write? What is your writer’s process? 4. Christmas is drawing ever closer, what do you do to get in the spirit? Buy presents and stock up on food! Seriously though, as a busy mum of five as well as a writer, I do spend a fair amount of time buying presents, and not just for my kids but my furbabies too. I'm always looking for novelty gifts for our pets. My favourite this year has to be a pirate ship for cats. Whoever thought of that deserves a medal! I usually leave the tinsel and tree-dressing to my teenagers these days. The ceremony of unearthing Christmas ornaments and placing the angel on the tree are wonderful family traditions, handed down from my own mum, who was also a writer and mother of five! 5. Can you share with us your top three doggy books? The Starlight Barking, Dodie Smith; The Incredible Journey, Sheila Burnford; White Fang, Jack London. 6. And finally, the John Lewis Christmas advert. Yay or nay? A bit on the corny side. Though there was a fabulous meme doing the rounds of someone's Boxer dog watching the advert and bouncing up and down too, just like Buster on the telly. * Superb! Bertie's Gift is a Christmas book with a difference. This book is told from the point of view of Bertie, a beagle, so I wasn't quite sure what to expect when I started reading it, but very early on in the book I found myself immersed in the story and I couldn't put the book down. After Mrs Minton died, her husband has been finding it hard to cope. He's elderly and alone and five dogs just seem to be too much for him. When the dogs cause trouble one day and ruin one f his late wife's dresses, Mr. Minton feels that this is the last straw and soon the dogs end up in a rescue home, where Bertie is seperated from his sister and best friend, Molly for the first time in hos life. When Molly is adopted by a woman that quite frankly, Bertie does not like the look of, Bertie is numb with grief. But soon, Bertie is adopted by a family who have had their own fair share of grief and Bertie knows that they need him just as much as Molly. Bertie soon joins forces with Kitty and Rico, the two cats also owned by the Green family and Pepper, next doors poodle and a plan is hatched to rescue Molly from that awful woman so that they can be a family again. Suddenly crisis strikes and it's up to Bertie to save the day and Christmas before the worst happens. This book made me an emotional wreck. I was crying happy tears one minute and tears of sadness the next. Everything was happening so fast and I couldn't help but think of my own little doggy and how I would feel of something like this happened to him. Bertie is the most amazing dog and I take my hat off to the author for being able to create him the way that she did. He is utterly brilliant and everything that he does stays true to him being a dog. The story has enough twists and turns to keep the reader interested and I found that after a while the pages seemed to just turn themselves, as I fell deeper and deeper into the storyline. Every single character in this book, from the cats to the humans and everything in between are so well written and developed. As a cat and dog owner, I couldn't help but smile at how to animals treated each other, because every bit of it is so true to life. 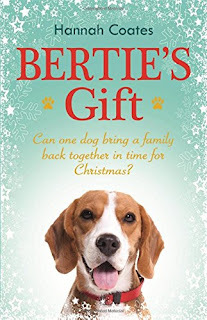 Bertie's Gift is an emotional rollercoaster of a book that will show you the real meaning of Christmas and just how much us humans mean to our pets. Every last page is beautiful and heartwarming and will make you feel warm inside on the coldest winter's day. I can't recommend this book enough.